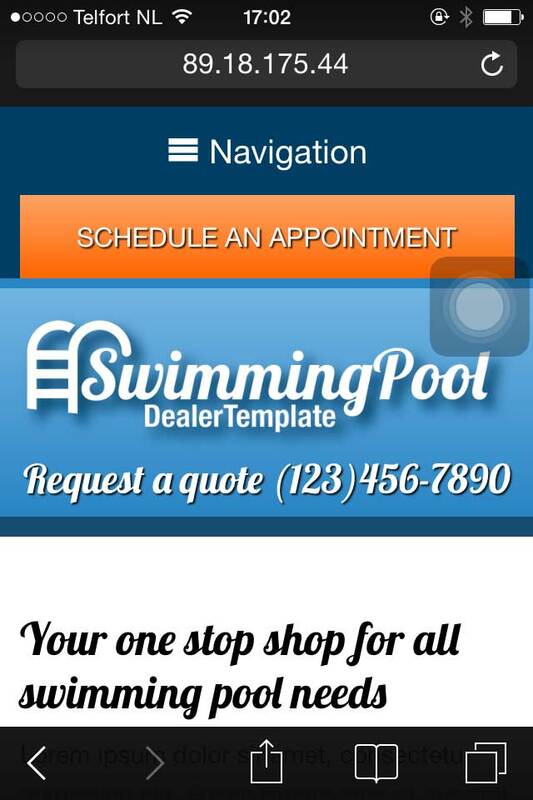 Get your swimming pool supply and maintenance business online today! 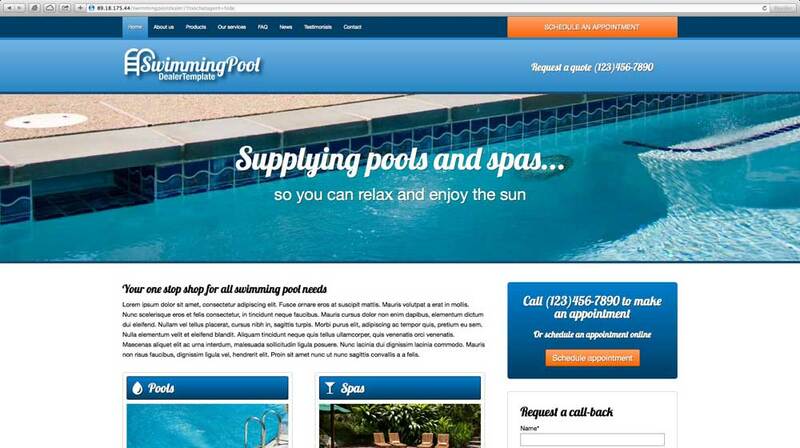 Selling supplies, installing spas, cleaning and maintaining swimming pools — your business may not require much time behind a computer, and neither will building your website when you use the quick and convenient Swimming Pool WordPress Theme! 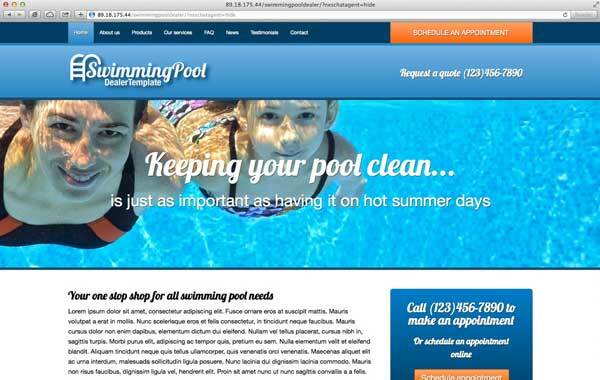 The Swimming Pool WordPress Theme - make a splash with a great swimming pool website! 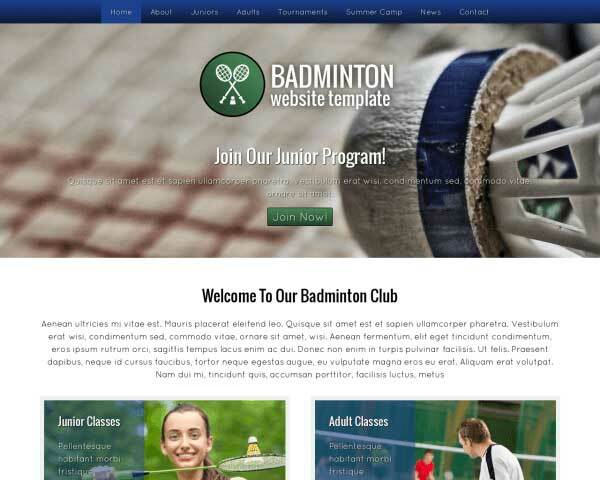 When you need to build a new or upgraded website for your swimming pool supplies and maintenance business, look no further than the Swimming Pool WordPress Theme! We've designed this website template with the needs of a swimming pool and spa professional in mind, with pages for details about your pool and spa installations and equipment, cleaning and repair services, and even pages for your customer testimonials and frequently asked questions. All that's missing is your own text and photos! 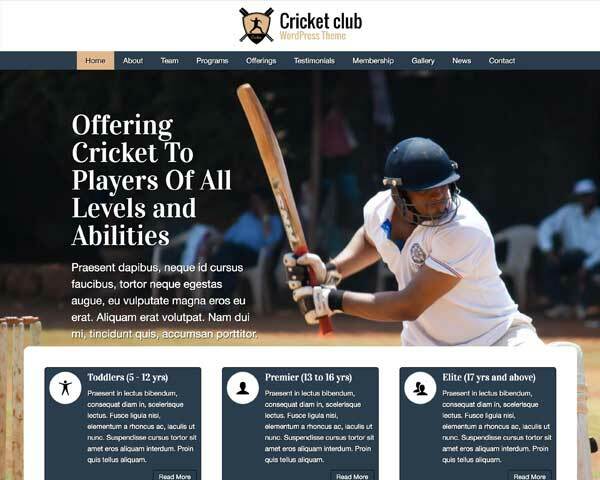 With the Swimming Pool WordPress Theme, clients will be able to book an appointment online or share your news posts on their social media pages, a great way to advertise summer specials or new pool maintenance services. 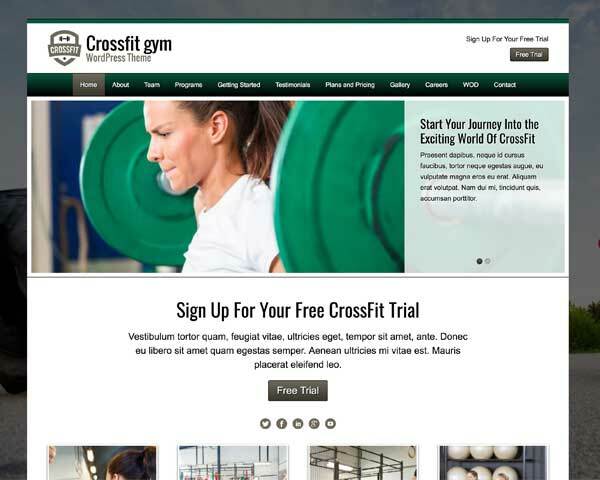 This premium theme is optimized for mobile devices and can be easily customized to suit your specific needs by using our powerful yet intuitive front-end editor. Your user's license comes with top-notch tech support and and helpful behind-the-scenes business features, so what are you waiting for, dive right in and take a lap around the demo site to try it out! This Swimming Pool WordPress Theme wouldn't be complete with a section to feature article, tips and news about your organization. So it's there for you to use as you please. 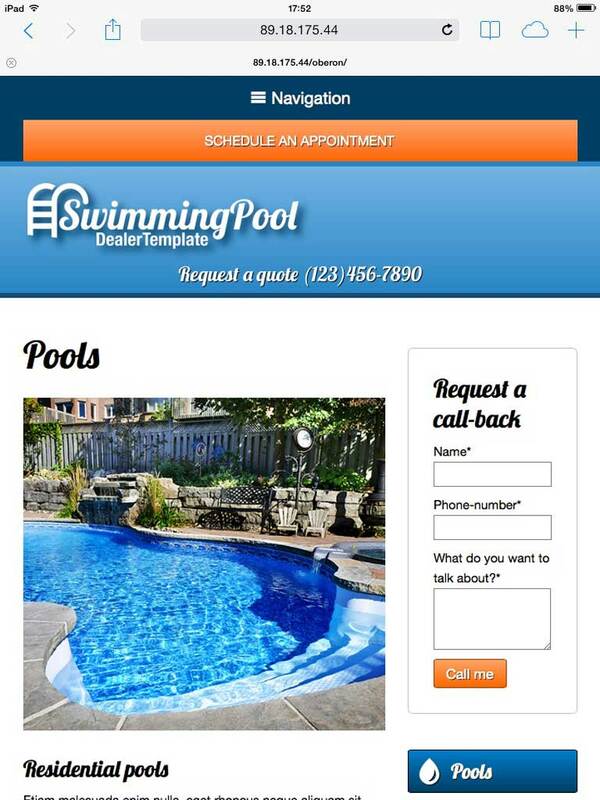 The Swimming Pool WordPress Theme comes with a built-in booking form, allowing you to take appointments online even outside of business hours. The Swimming Pool WordPress Theme is designed with the specific needs of swimming pool professionals in mind. 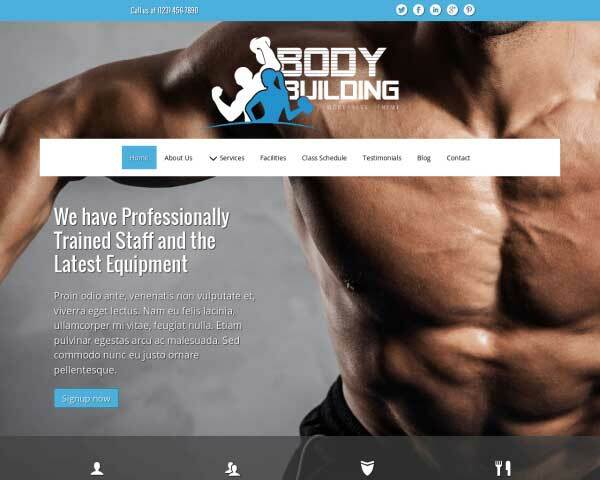 With important pages and features already in place, your new website will be nearly finished right out of the box. The Swimming Pool WordPress Theme offers placeholders to show engaging visual stimuli in combination with textual call-to-actions. Think about the biggest problems of your target audience and offer your solutions. The Swimming Pool WordPress Theme is designed with an effective, simple layout that allows your main proposition to steal the show. Use as is or personalize the color scheme to suit your style. The Swimming Pool WordPress Theme features a clean, bright design that conveys friendliness and professionalism. 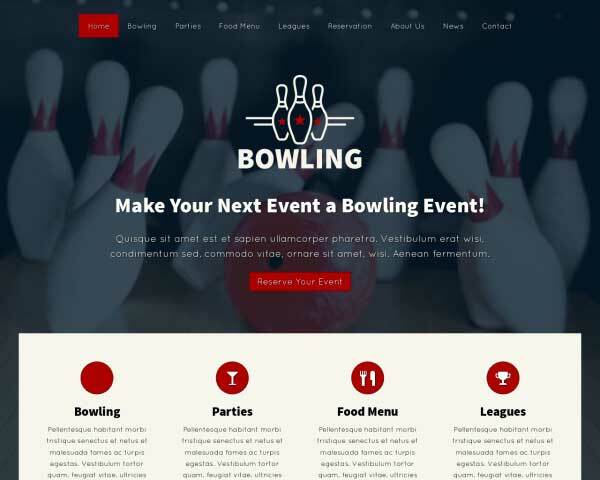 The color scheme can be changed to suit your style with just a few clicks. Designed with clear distinctions between the questions and answers, the Swimming Pool WordPress Theme's FAQ page is ready to be filled with your most frequently asked Qs and As. With the Swimming Pool WordPress Theme you have a quality tool to create elegant and appealing service detail pages with above-average layout and styling. Take advantage of the social media options included with the Swimming Pool WordPress Theme to get the word out about your pool company and attract new visitors online. The Swimming Pool WordPress Theme has a place to add your business' trust icons. Either the associations you're part of or the brands you use, or both, can be placed here. Your next client might be laying by a poolside right now using an iPad or smartphone to search for a nearby pool and spa professional. Make sure that customers who visit your site on mobile devices enjoy the same professional look and functionality of the desktop version with the fully-responsive Swimming Pool WordPress Theme! 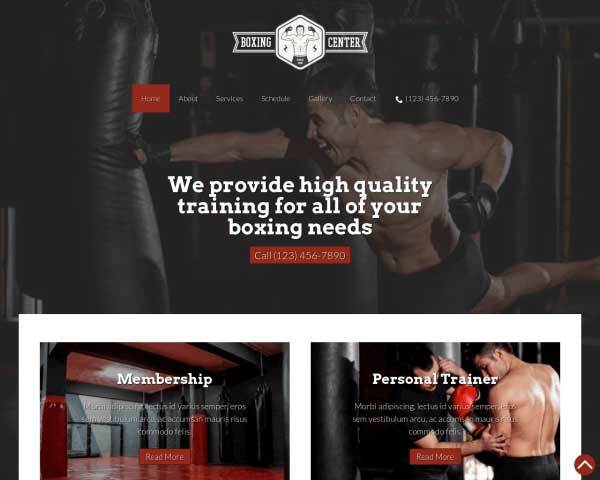 This website template is optimized for all mobile devices, meaning that the layout of your content and navigation menu will automatically adjust to render beautifully on any screen size, with no coding or extra work required!